We are nearing the end of the big harvest season for summer vegetables. The next month will see an end to tomatoes, basil, chillies, zucchinis and all the other heat loving vegetables. The scramble is on to finish planting winter brassicas and other cool season crops. 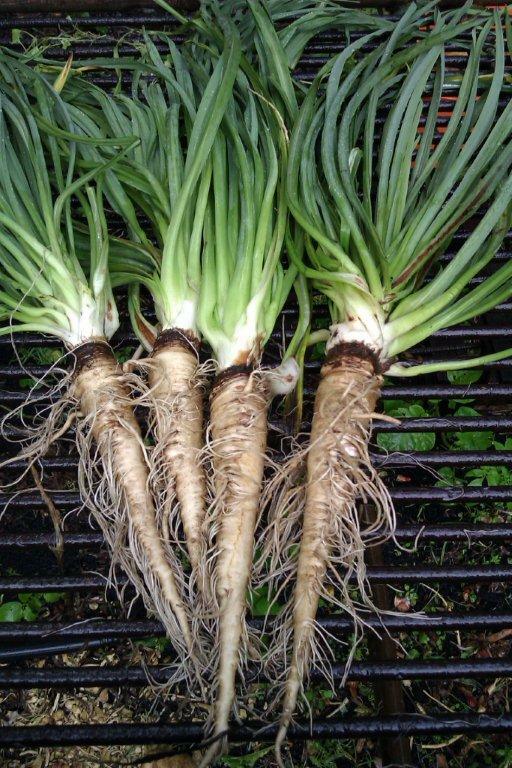 Successes of the summer months include good germination and establishment of carrots and parsnips; promising results from new varieties of Jalapeno and Poblano chillies and good crops of fennel, celeriac and radicchio. We have had to cope with plagues of twenty eight spot ladybirds and green vegetable bugs in tomatoes and eggplants, which has resulted in a lot of fruit ending up as seconds. The potato harvest finished this week. Yields were low due to rain in December delaying planting. We will have limited quantities of some varieties as a result. 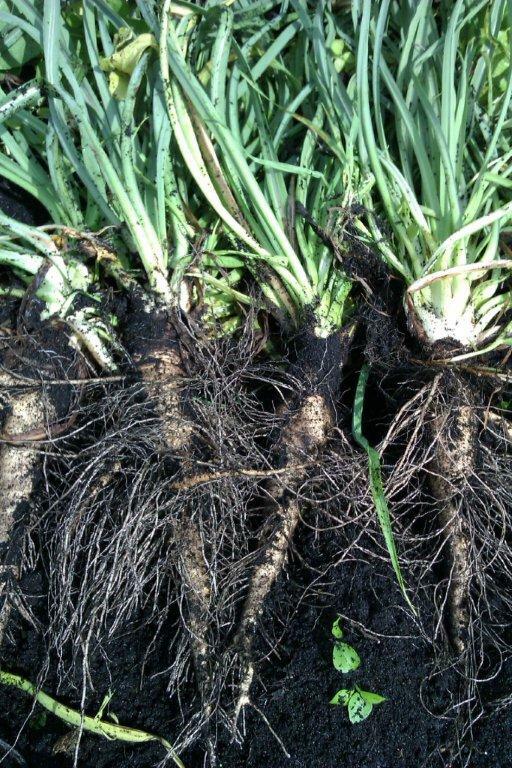 We have a trial planting of salsify (and scorzenera) we will start harvesting in the next week (pictured below). 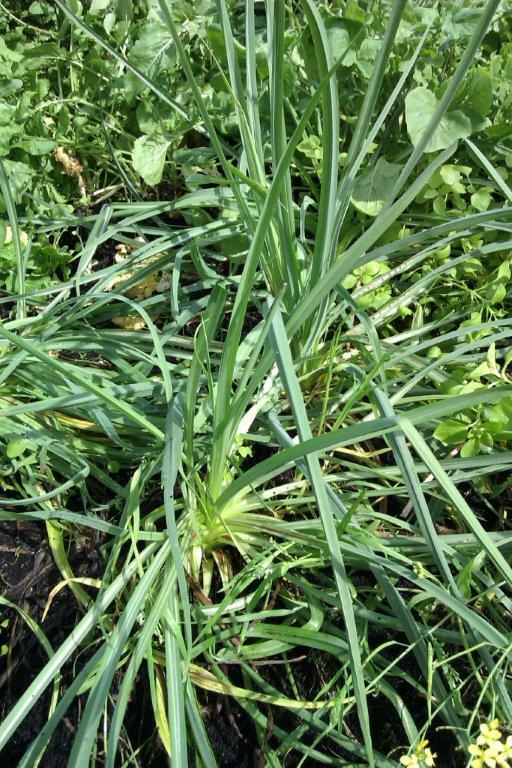 If you are wondering what salsify is, then have a look at Hugh Fearnley-Whittingstall’s article from the Guardian: http://www.guardian.co.uk/lifeandstyle/2010/jan/09/salsify-recipes-hugh-fearnley-whittingstall. It won’t be on the vegetable list but let me know if you want some. Brassicas- kale (Tuscan and curly), Romanesco broccoli, violet cauliflowers, sugar loaf cabbage, collards, broccolini, purple sprouting, kalian and pak choi. Root crops- parsnips, carrots, beetroot, swedes and turnips. Other vegetables- perpetual spinach, ruby chard, sorrel, herbs, wild greens. This entry was posted in Farm News on April 23, 2013 by jocelyn2013.